Biography: Michael Kusugak is Inuit and was riased in Nunavut. He writes books for children and travels, often telling the stories he heard from his grandmother when he was growing up. 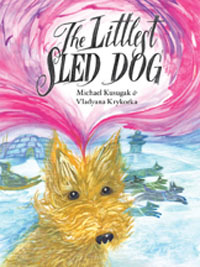 Michael's work has won the Ruth Schwartz Award for children's literature and has been short-listed for various other awards. In 2008, Michael was the recipient of the Vicky Metcalf Award for Children’s Literature for his body of work. Michael lives and works in Rankin Inlet, Nunavut.